But this project has what appear to me to be some strange anomalies. As we know most of the 'extreme' right-wing/White nationalist voices have been marginalised or shut down. Yet some remain. 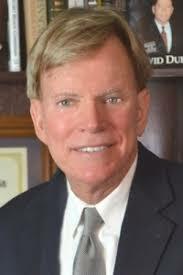 For instance David Duke (whose name cannot be mentioned in polite circles without referring to him as 'former KKK leader and notorious Holocaust-denier', and who shines a brilliant searchlight on Jewish shenanigans) remains on Jootube, albeit in restricted form, his web site remains operational, he's still on Twitter and Faceborg while his books can be bought on Amazon even after their latest digital book-burning. 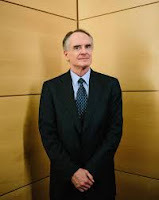 Yet Jared Taylor and American Renaissance have been hit with a full high-velocity salvo, banished from all the platforms David still maintains, Jared's books banned on Amazon and he's now prohibited from travelling in the Schengen area. Just about every weapon in the globohomo armoury has been deployed against him and his organisation. Yet they are at the extreme 'respectable' end of the White advocacy spectrum. Never an impolite word, AR staff refer to one another as 'Mister', all their material is from unimpeachable sources, even with hostile interviewers Jared is unfailingly polite and respectful. And, most important of all the JQ is avoided like a grenade with the pin out. Which of course it is. Even wholly Jewish organisations such as the ADL and $PLC are coyly referred to as 'liberal' or 'progressive'. Yet none of it works. They have been given the full treatment.....treatment much more aggressive than that inflicted on David Duke. Why should this be? (And PULEEZE! Don't anyone start with this 'DD's controlled opposition' nonsense). Could it be that the very 'reasonableness' of JT and Amren are perceived by our globohomo overlords as more insidious and threatening to them than the direct in-your-face approach of DD? If not, what other explanation is there? If it yes we should learn the lessons as we take our fight forward.